Our top titles are sure to entertain! 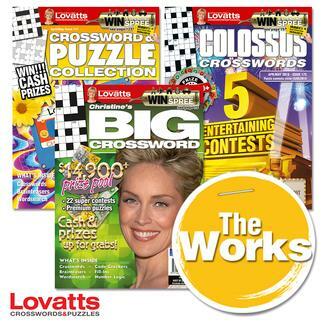 BIG Crossword, Colossus Crosswords and Holiday Crossword Collection are packed with classic crosswords plus general knowledge, music, geography and celebrity themed and brainteaser puzzles. There’s something for everyone, including a few tougher crosswords and competitions galore. This is a great combination to keep your brain working. This is published 25 times per year, please allow up to 6-9 weeks for your first delivery. Your subscription will begin with the next available issue.